This plaque is to honor youth for their achievement. Great for Faith in God, Young Woman Recognition, Duty to God and Eagle Scouts. 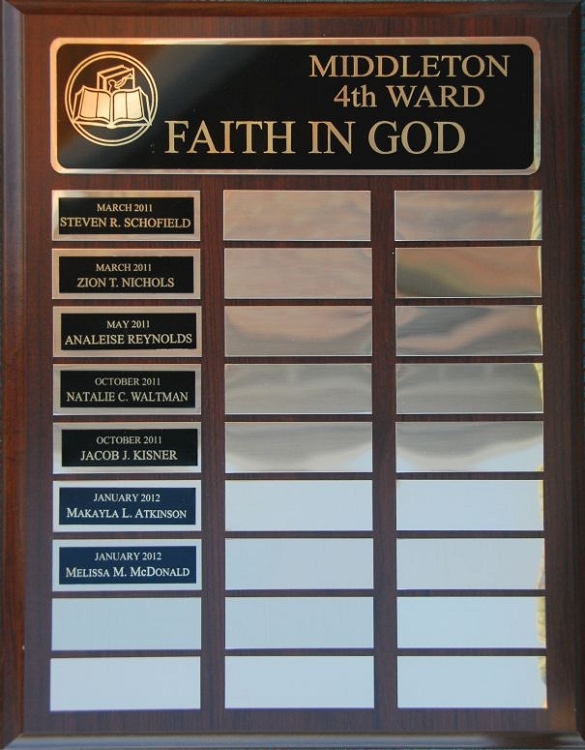 Our 12X15 inch plaque features a top plate with the title "Faith in God", "Youth Hall of Fame", or whatever you would like for a title along with 27 small plates to recognize individual recipients. 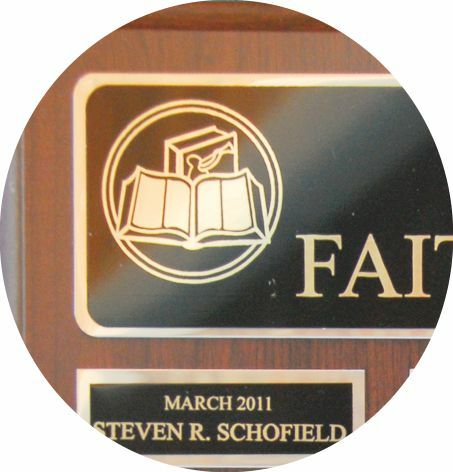 Individual plates can display name and either a date or the award received. After initial order names for plaque are submitted via email. You will only pay for the postage on the additional plaque plates. The cost of plates and engraving is included in original plaque purchase.